I know that I sure do. "Hello fellow Joy's Hope readers! I am Mommy to Buggie and soon to be to Jellybean. Wifey to Hubby for 7 years next month. All around crafter. Lover of all things handmade. Devoted friend, BTW to some of the best people in the world! Self proclaimed disorganized mess, I might be in denial but I truly believe a messy desk is a sign of a genius, hehehe! I heart coffee. Lucky for me I have a Super Target 10 minutes from my house, which means I am there at least 3 times a week. How is you go there to buy t.p. and end up spending $100?! If I have time and a good book, you will find me with my head between the pages, too bad for me that combo rarely happens these days. Recently Buggie started going to school two days a week. So my mind started racing to come up with something to keep my idle hands busy. I had a crafter/Mommy revelation, while playing dress up with Buggie. I could make crowns for little kiddos. Not only do I carry princess crowns but I am making crowns of all sorts for boys and girls. I sell many crowns for birthday parties and love matching colors and themes. I love traditions, so for me a crown to wear every year on that special day makes for great pictures and memories. I say bring on you custom orders! I just recently just added a few hair accessories but my main focus is CROWNS, CROWN & more CROWNS! My mind is alway reeling coming up with new ideas, stay tuned next week for some pretty cool new items! I truly look forward to this giveaway and hope you enjoy my little nook of Etsy as much as I do! Sending air kisses out across the blogging world to you all!" How rad is everything she makes? You know that you want one of everything, right? How about a $25 gift certificate to get you started? 1. Visit True Love Found. Tell me which item you fancy. Become a follower and leave some comment love. 4. Tell someone that you truly love them, maybe someone who hasn't heard it in a while. A happy winner will be chosen on Friday October 9th. ok, so I'm the first one out of the gate here! How exciting! I am in love with the Emmalicious and Twirly Girly crowns. SO cute! And so imaginative! My nephews would love the Henry King of the Jungle Crown and I think the flower clips are adorable!! Thanks for sharing your talents! Oh, and I just told my husband (again) that I adore everything about him. (i really do). Tough call - love the sweet girl from down the Lane crown since it is our daughter's nickname but I also love the flower wands. Do you think they would work to magically clean my house? I just checked out her Etsy page. How cute! I added her to my favorites. Those are so cute! love the twirly Girly crown "R" it is too cute. The Twirlie Girlie Ryleigh Crown is my favorite. Cute shop! Everything is so lovely! I really like the Modge Podge Shabby clip. The crowns are also so great! It is hard to choose!! Thanks! I LOVE the Bonjour Kitty Cat crown - my daughter adores Hello Kitty! I was also just talking to my grandma who lives in Oklahoma. We never end a phone call without saying I love you. 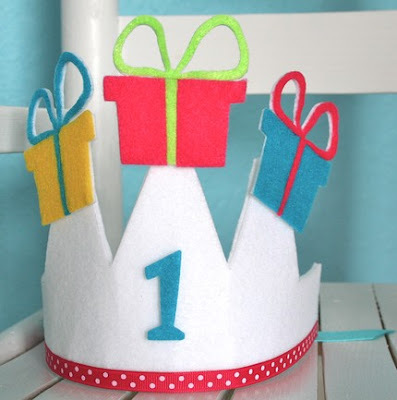 I love the crown with the "1" and the presents on your page. My baby is turning one in 15 days! BTW...I am unable to follow the link to Amy's blog??? Love everything from the shop! I'm a sucker for all things Hello Kitty though! told someone I loved them! currently making a custom purchase from her shop for my son's 1st birthday! I visited Amy's shop and love the Little Miss Cupcake Crown. I have a granddaughter who will be 1 in January and this would be so cute for her 1st birthday party! By the way, I wasn't able to get to her blog using your link. I did try! Marvelous Melissa crown is gorgeous! I told my wonderful husband that I loved him. He has been out of work since June and we are depending on the Lord to see us through this. I think he needs all the affirmation he can get right now! WOW Amy! very very clever! Oh my...to pick just one. They are all so cute. However, I do think Archer would look adorable in the Dave the Digger Crown. I told my breast cancer surviving friend I love her and am proud of her strength! They're beautiful! My little princess would love the Sleeping Maiden crown, if she didn't want them ALL. 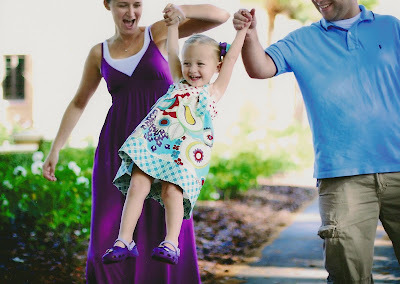 I am following her now, and left her some bloggy love. For the record, the bendy straw case idea is brilliant! I told my little brother that I truly love him when I was on the phone with him. He thought I was acting weird, but we just don't say it much though we know we mean it. LOVE the simple dot crown! left her a comment on her post about special orders. Told hubby how much I love him! These are absolutely adorable! My favorite is the little cupcake crown. I would definitely give it to my niece who will be turning 2. I know she'd love it! p.s. If you ever start making crowns for adults, I'll be your first customer! you are right, I do love them. 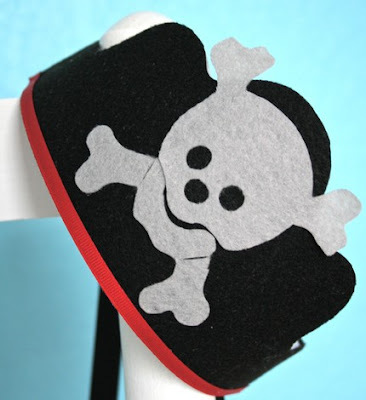 I went over there thinking my favorite would be the b/w pirate crown bc my son never gets anything. However, I fell in love with the halos! No wonder my girls get lots of cute things! I think the cupcake crown would look ADORABLE on my niece's sweet little head. I am in love with the Lively little lexi combo set. How cute is that!! okay, so choosing just one is hard-they are all so cute! but i love henry king of the jungle and holland of the high seas. (i am not usually one for skulls, but she made it so cute!) thanks for sharing this shop! Love the Bonjour Kitty Kat Crown. I told someone I love them today. I love ALL the Shabby Chic Snap Clips!! But the candy corn crown is a must for me. 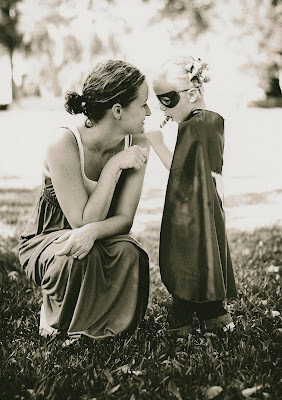 I have a daughter with a Halloween birthday and that would be PERFECT!! I am now following her blog! Not only is she crafty, but that soup looks GOOD!! My husband and I are living in two separate states while he is working and we are preparing to move to said new state. He is home for the weekend and I haven't seen him in two weeks. Telling him how much I love him will be easy (and has already been done 100 times in the last 12 hours!! Seriously, how cute is she!! Love ALL her items. All of them. Lets see though. I like carnival coner a lot. But what about the dump truck and my neice would die for almost any of the girly crowns. Oh so fun! And seriously affordable. I just became a follower of hers! She seems awesome! cute, cute, cute! I heart her shades of purple fairy halo. Girly is totally into purple right now so this is perfect. My mom and I just had a heartfelt conversation last night. I told her how much I appreciate her and love her. Probably the first time in several months. Too cute, Love the shades of pink fairy! Adorable! I love the Twirlie Girlie crown. So cute! What a fantastic shop! I hearted it! I'm in love with the Simply Dotted crown. So cute! My girls would absolutely LOVE these! 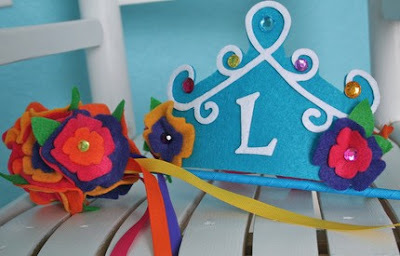 Especially the "little lively lexi" crown! Hmmm...lovin "Lively Lexie" and "Twirlie Girlie." I love the sweet Brie crown! or the sleeping Maiden! Too cute to choose just one--oh and that wand?!! Awesome! called my mom tonight. She had surgery on Monday and I just wanted to check in on her. She couldn't believe that that was the only reason I called. I loved to hear the awe in her voice. I'm glad I called. Little Miss Cupcake crown would be perfect for my daughter's 1st bday this month! I would love Henry King of the Jungle Crown...my son Hugo would get a lot of use out of his very own H crown! thamnks for the chance. heading upstairs now for bed and to snuggle with my husband whom i love very much and will tell him again today. so I gave you an award on my blog today! I love all the crowns. Hoping to purchase a custom crown for our grandson- turns one in December! Thanks. I can't take it! I loooooveeee everything...especially the WANDS I would loooove to use the Strawberry Mango one in my classroom...i think it would make a fab pointer! LOVE it! Fingers crossed! I love the Bippity Boppity Blue Crown!! Tyson to the Rescue Crown is adorable!! Love the site! My fav would be the Little miss cupcake crown - too cute! I love the Not So Scary Halloween clip! I would love a crown for my baby girl to wear on her first birthday too. SO cute! julie, i've just had the best time visiting both of ya'lls blogs for the first time. please dont' enter me as my girls are all too big...sniff sniff...but i just wanted to say hello & that i'm just tickled to purchase one of messy flower pins!! I love the Dave the Digger Crown! It would be perfect for when my little boy turns one in January. I have yet to decide on a theme and I think that a construction theme would be perfect centered around this crown! Just found your blog. It's lovely. I have a little 10 month old girl who will be in need of a darling crown for her upcoming (don't remind me, time is not my friend, she is growing too fast) 1st birthday. Thanks for the giveaway opp! I am in love with the sleeping maiden crown. i am totally in love with her crowns and wands! i am so getting some for my little one! i especially love the Lexi crown with wand. these will be so great for birthday gifts too! love that she has boy items. i told my mommy (u never get to old to call your mom that) that i love her this morning! I love her shabby chic hair clips! So darn cute! Amy is a DOLL! 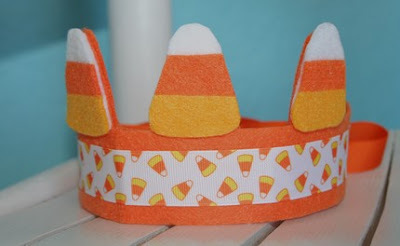 I love that Candy Corn Crown, too cute for words. Thanks for such a fabulous giveaway! Became a follower of her blog and left some love! And said to my brother I love you. ;) Can’t remember the last time I said that, such a great idea!